International cuisine, modern design, lake views and sprawling event space—all conveniently at the border of Jiangsu, Zhejiang and Shanghai. The first and only internationally branded hotel in the area, Renaissance Suzhou Wujiang Hotel appeals to business travelers, families, couples-to-be and in-the-know locals with select amenities, comfortable accommodations and an array of dining options. Rooms and suites offer luxury bedding, Wi-Fi, an LED TV and spacious work area; suites include a kitchenette with refrigerator. 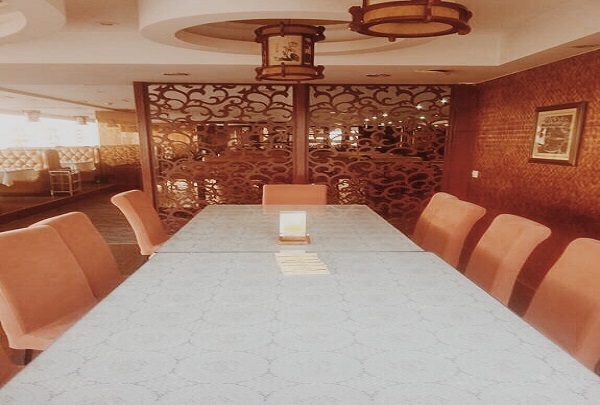 Gather colleagues for a meeting, friends for a social function or loved ones for a wedding in our seven event spaces, then top it off with dinner in one of the 11 private dining rooms at Wan Li Chinese restaurant. Our other dining choices include international all-day dining at Food Studio or traditional Korean dishes at Smoki Moto. Zhenze people entertain guests with their drink of choice. Enjoy old-fashioned tea in this riverside village setting. 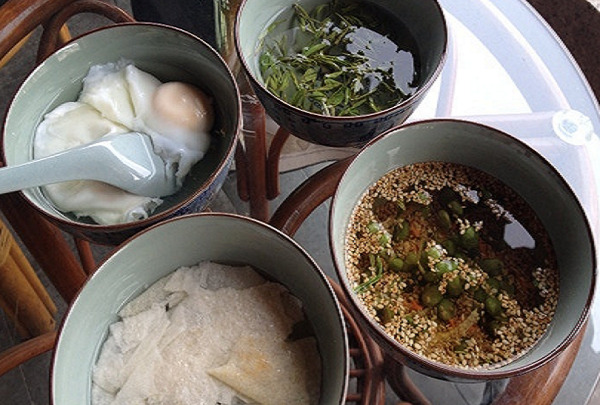 Try the four-bowl tea set, which give patrons a chance to sip the different indigenous tea flavors in the local region. Climb to the top of the Ci Yun Pagoda for lovely views of Taihu Lake, the Beimayang River and the ancient town of Zhenze glowing at sunset. 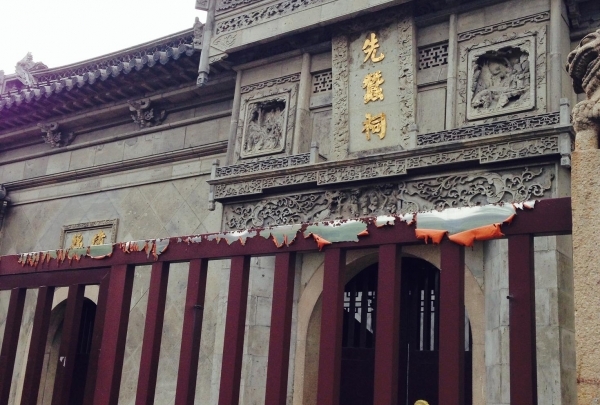 A temple has stood by the Di Tang River since the 13th Century, when the Guang Ji Temple was built at this site. The Emperor of China granted it the name of Cin Yun Temple in 1457. Unfortunately, the original structure was destroyed in 1860, and the temple was later rebuilt by silk merchants in 1924. The Ci Yun Pagoda, located within the temple complex is a must visit for its incredible history and beauty. 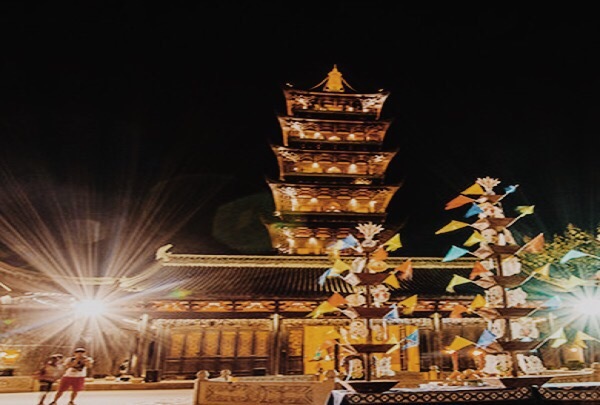 There are several fascinating legends associated with this pagoda which is believed to be named after the Emperor Huizong's daughter, princess Ci Yun. 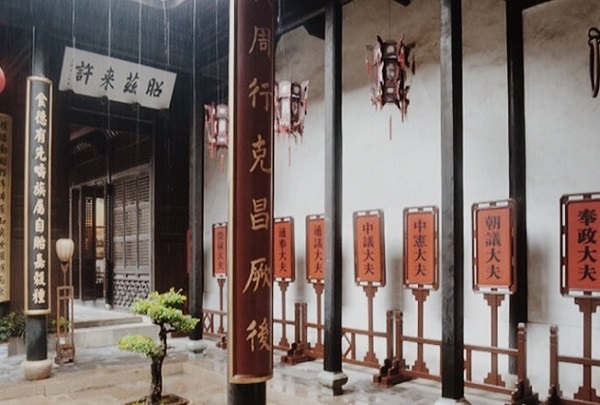 The hexagonal structure extends over 5 floors, and features traditional elements like Nanmu pillars, copper bells on every corner and a Buddhist shrine decorated with floral motifs and exquisite carvings. The heritage complex of temple, pagoda, river and bridge exemplifies the harmony of man with nature as a cohesive whole; it is one of the best examples of religious architecture in the region. Location of the APEC informal leadership meeting in 2014. 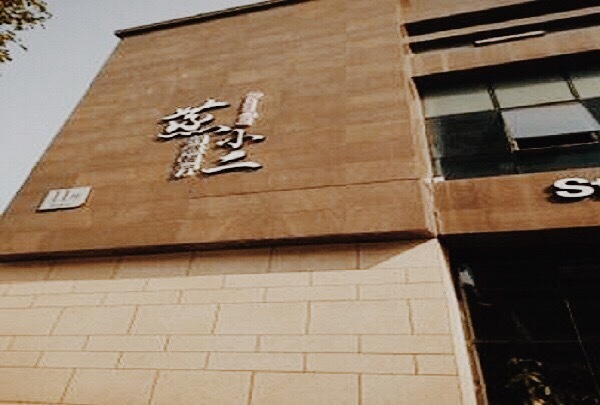 As the first industrial park dedicated to showing the history and culture of the local silk industry, Songjin Park focuses on demonstrating the steps the industry has taken from past to present. 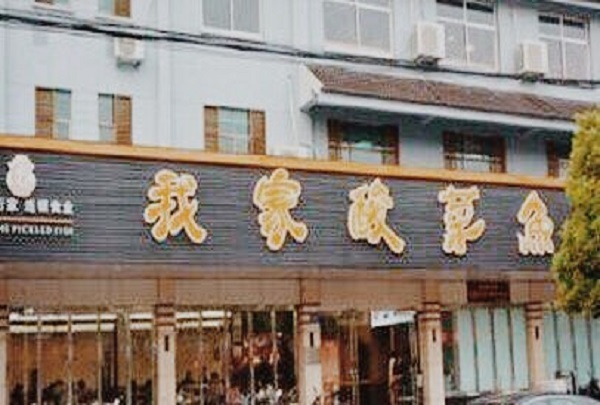 A local Wujiang Chinese tea house. This is a modern tea room, serving delightful teas. 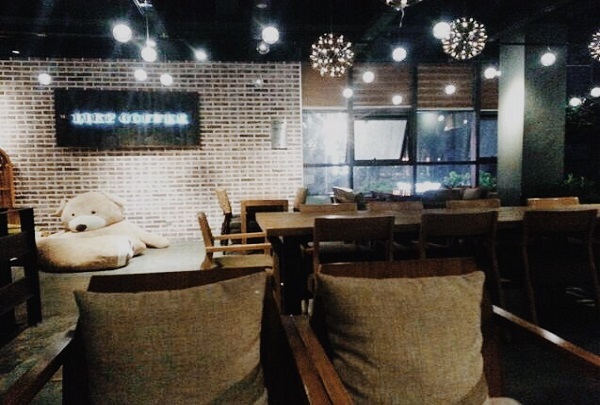 The elegant environment is suitable for people to chat with each other while sipping on well-brewed teas. Nanxun is one of China's most charming towns. 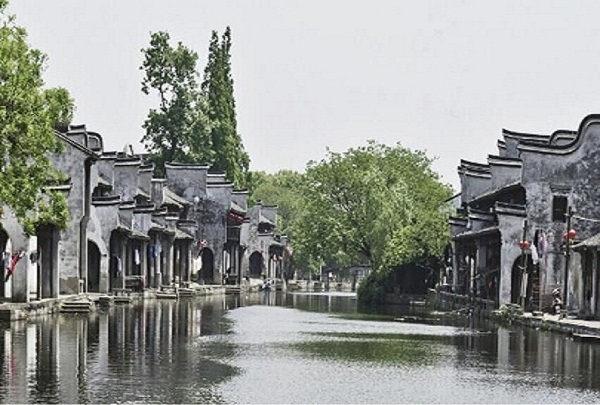 Nanxun Town is a secluded vacation town. Check out the garden of Liu Yong, which shows off the generosity and wealth of one of the richest individuals of his time. Try delicious local snacks like savory dumplings. This shaomai offers a Shengze breakfast specialty: shaomai dumplings using sweet glutinous rice instead of the more traditional recipe of pork. Come enjoy some local delicacies! Taihu Silk is a popular silk brand in the Chinese textile industry. 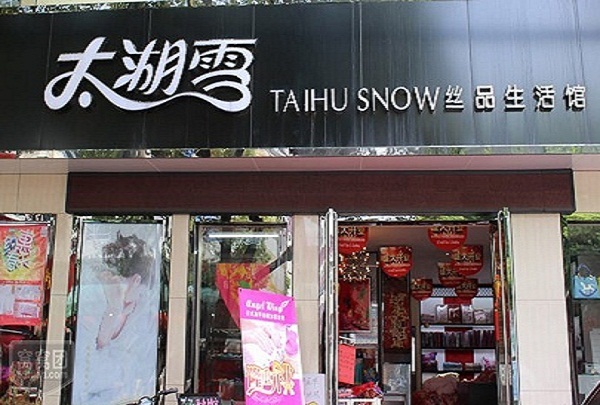 This Taihu Silk location is both a display gallery and sales venue for its products. 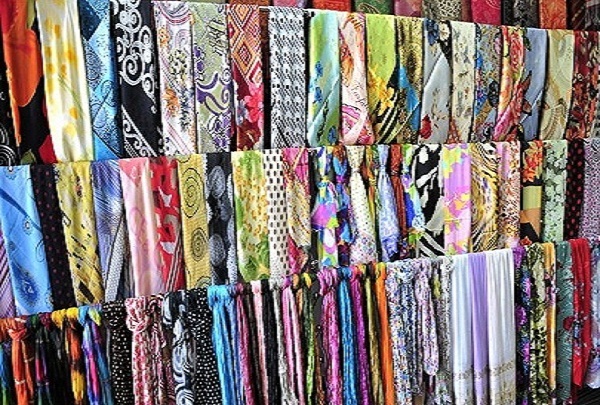 It highlights and sells silk artistry on the spot for visitors. Shengze is a town that is mainly dedicated to silk. Shengze is a town dedicated to silk where you can buy some unique silk goods. You can also customize special silk products for your friends and relatives. Built during the reign of Emperor Daoguang, this Chinese temple is an exquisite representation of the period's architecture and culture. Shengze, located along the ancient silk route, has a long and intriguing history. The Xiancan Temple temple was built by a group of silk merchants and dedicated to Empress Lei Zu, the "Silkworm Mother." Lei Zu is said to have discovered silk, and there are many legends surrounding how this came to be. The temple quickly became a place of worship for local silk farmers who still come here to pray for a successful harvest following the annual Xiaoman drama festival. 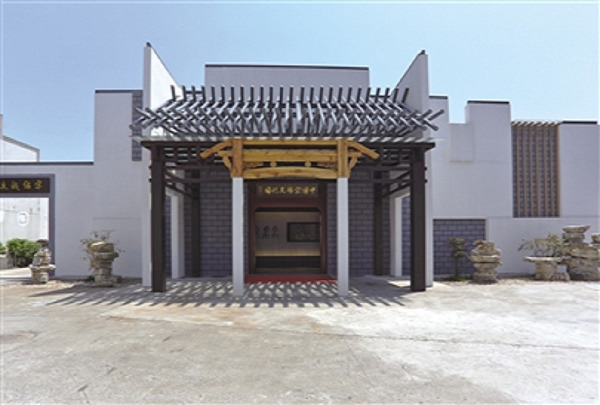 The temple features classic ancestral temple architecture and has been restored to its original glory. 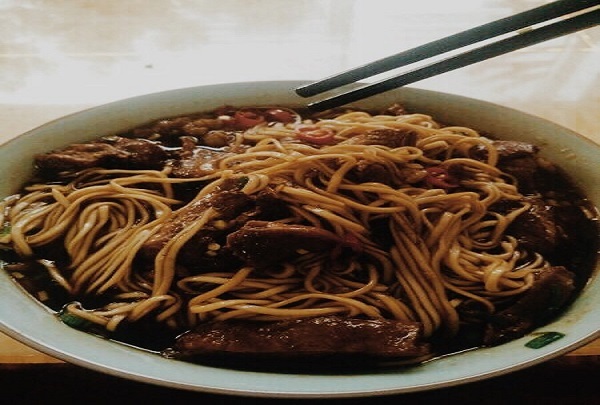 Tender and tasty, the noodles here are hearty and are a fresh taste of Zhenze's local cuisine. Zhenze is the ancient name of the Taihu Lake. 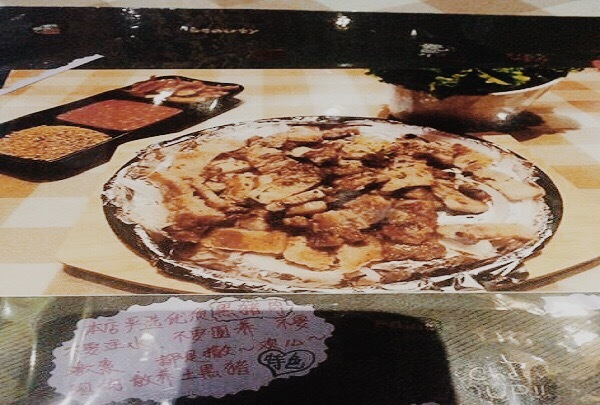 The Zhenze mutton is called the lake lamb which is a more tender meat than goat. The chef here braises the lamb traditionally, making it very delicious. 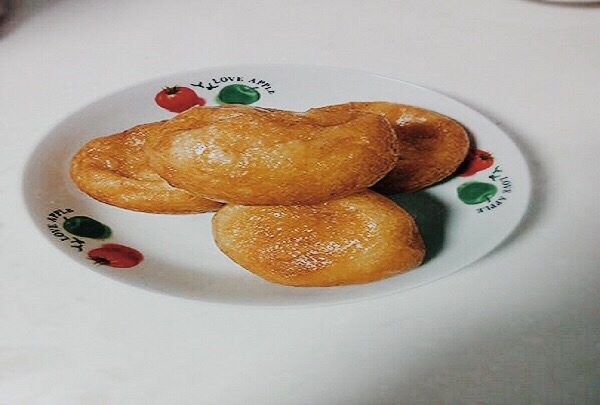 The puffy oil fritter is a famous snack of Shengze. This is a special local restaurant that is very popular in the area. This simple country appearance restaurant offers a popular and flavorful menu offering far more than its namesake. 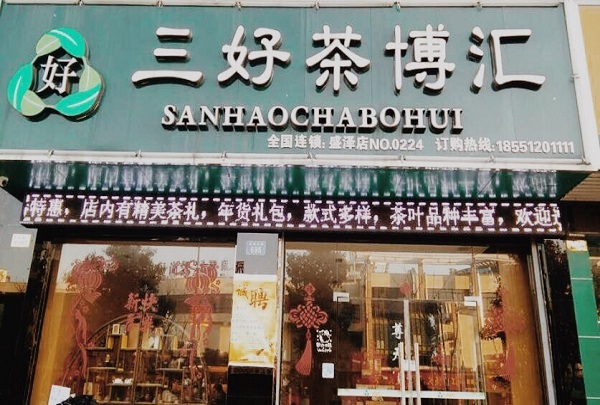 With a variety of marinated dishes as well as fresh river seafood, this small restaurant’s specialty is a herbal soup featuring thirteen herbal ingredients that promote health & well-being. This shop sells pork dumplings, which are different from traditional dumplings. 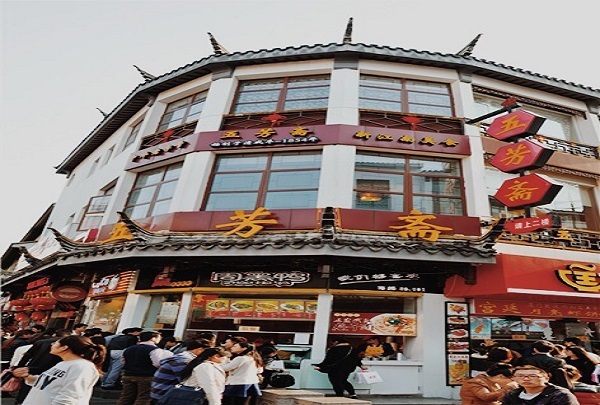 Using recipes passed down since the fourteenth century, the dumplings served at this eatery are dry-steamed and meat-stuffed in a northern Chinese style that differs entirely from the more well-known Shanghai-style sticky rice filling. 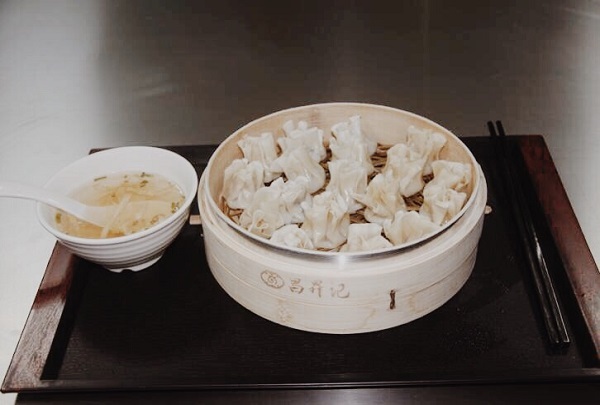 Thin wrappers and clear broth ensure a sweet meaty taste with every dumpling. Try the Anji white tea. This shop has retro-style furnishings as well as all kinds of tea. Guests can enjoy all varieties of tea and then feel confident enough to buying their favorite. Art studio where you can take classes like pottery-making. 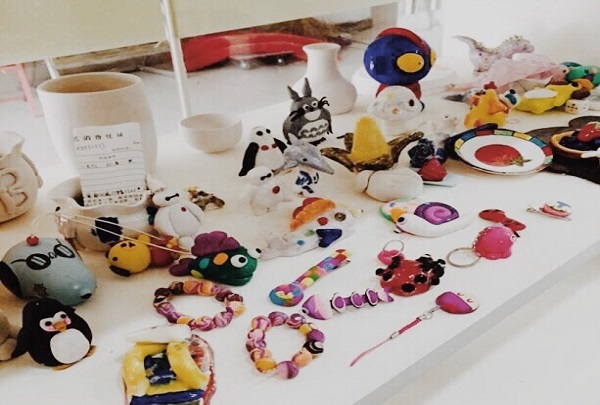 A local walk-in arts studio featuring classes for DIY pottery and other arts & crafts. Tailored to providing children and families for hours of creative fun that you can take home with you. This is a place where you can relax with your friends. Relax with friends for coffee or tea at this modern Chinese-style teahouse, whether it is for high tea, a game of majhong, or just to chat. This shop is a good place to drink tea. 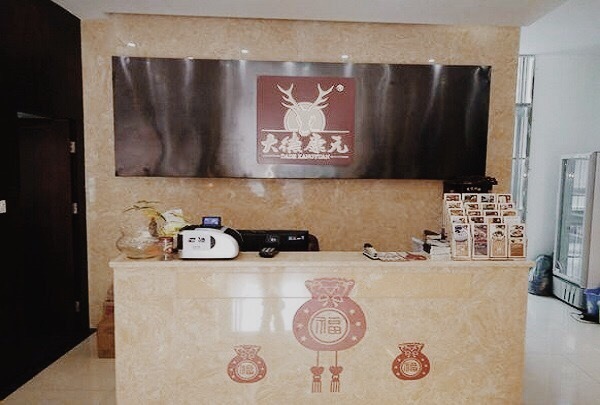 Elegant and modern, this tea store is both a place to buy and to learn about Chinese tea culture. Join the owners and learn about proper Chinese tea conduct and select from a wide range of teas to enjoy. There are no fancy gimmicks at this coffee shop. At this down-to-earth coffee shop, there is just coffee, tea, and games to encourage and promote a social air with friends for an afternoon or an evening. One of China’s three largest private libraries. 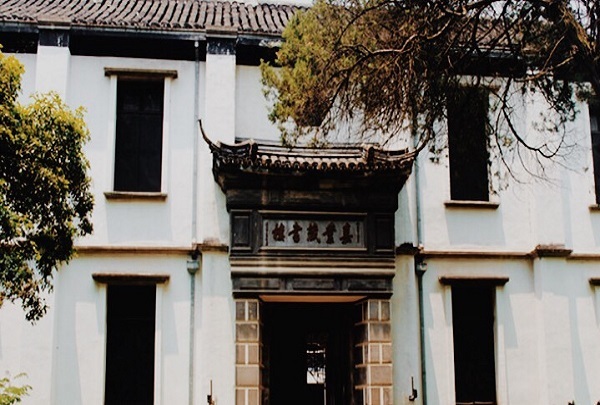 This archive building in Nanxun Ancient Town has been meticulously preserved down to the grounds and design of times past. With a collection of over one hundred thousand books, this is a destination not to be missed. The “Expectant Daotai” Zhang Ren Jie (aka Zhang Jing Jiang) had his ancestral home here. Now a historical landmark, this site tells the story of this wealthy anarchist and revolutionary before the rise of Communist China. Artifacts and photos recount the life and trials of a man the late President Sun Yat-Sen called “The First of the Four Elders” of the Chinese Nationalist Party. 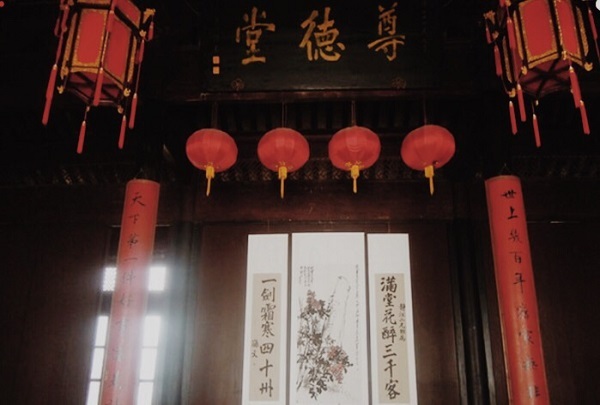 The “Red House of Nanxun” is one of Nanxun Town’s first examples of western-style large-scale design. Built by one of Nanxun’s “Four Elephants” Liu Yong for his son, this Roman-inspired piece of architecture was meant to stand out as a memorable landmark in the Jiang’nan province. This is a fruit shop that has many different types of fresh fruit. 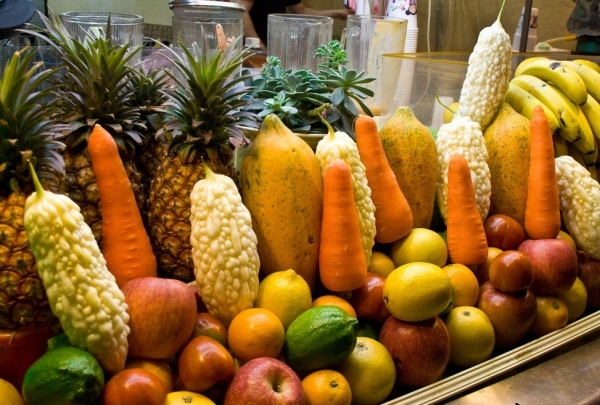 Fruits Shop sells a variety of mostly imported fresh fruits. In addition, some seasonal fruits are picked at nearby farms and brought here to be sold. 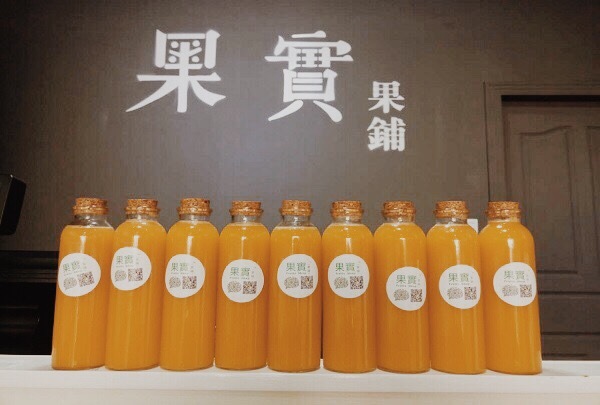 There is also freshly squeezed juice to taste. This is a menu-less seafood restaurant. Seafood specialties at this restaurant are special because there is no menu. Dishes are made a la carte according to guests' preferences. The fish are kept alive in an aquarium to ensure quality. This is a very exotic specialty restaurant. The roast leg of lamb here is very authentically prepared in the Mongolian style. They also serve lamb chops and some of the best Western cuisine around. 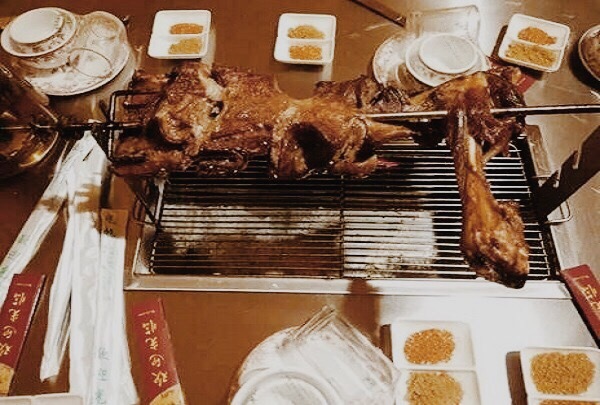 The lamb skewers and hot pot Yang Xiezai are also very popular dishes in the autumn and the winter seasons. 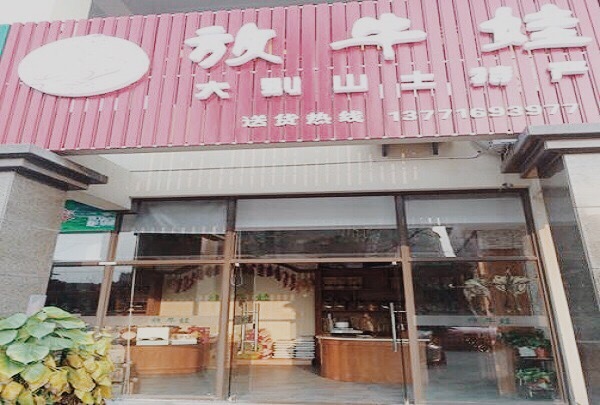 Shop that serves a different dumpling style from Jufeng. 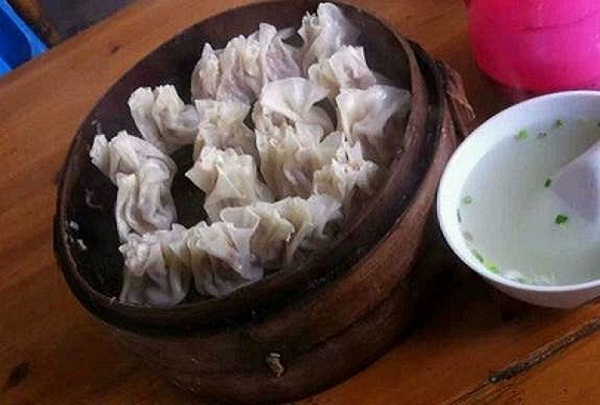 Shengze Jufeng presents an unique dumplings style. The “little dumpling” master has a long history and and the dumplings have a unique flavor. Other famous plates include the Huangshan Mandarin fish. Lapsang Church for high-end brands in camellia industry. Lapsang Church is also known as “Jin Jun Mei,” which means the production took place in high altitude from 1200 to 1800 meters in the Wuyishan Mountains. It is the world's leading region in black tea production. This shop sells goods produced in the northern subtropical humid climate of the Dabie Mountains. The northern subtropical humid climate of the Dabie Mountains produces wonderful organic food. Fang Niuwa sells these goods, which can help you with a healthier regimen. 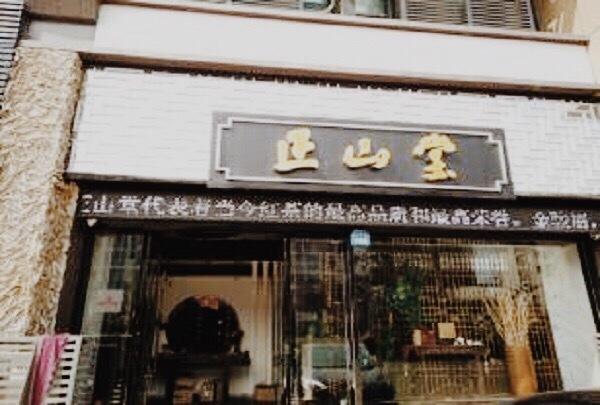 This shop sells Yangtze River fish, which are famous for being tender and delicious. This is a great place to have a relaxed tea after work. 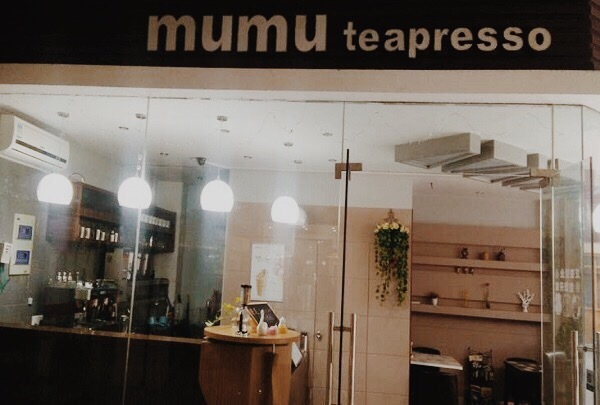 MUMU Teapresso is a stylish tea shop. Tea and coffee are sold here. In addition to free internet access, you can also take a small book off the shelf to read while enjoying your tea. There are many kinds of coffee, but there is just one Dio. 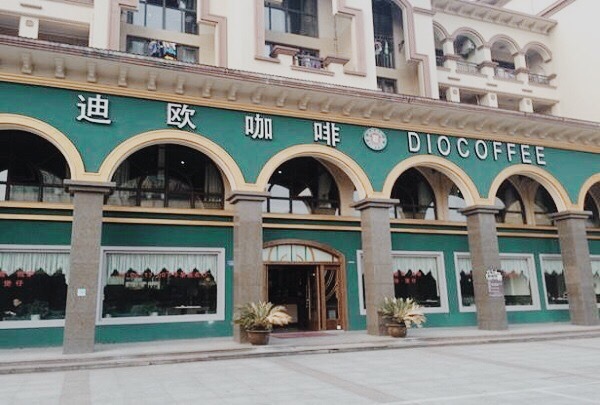 Dio Coffee has a European retro style and a unique combination of Chinese traditional culture. 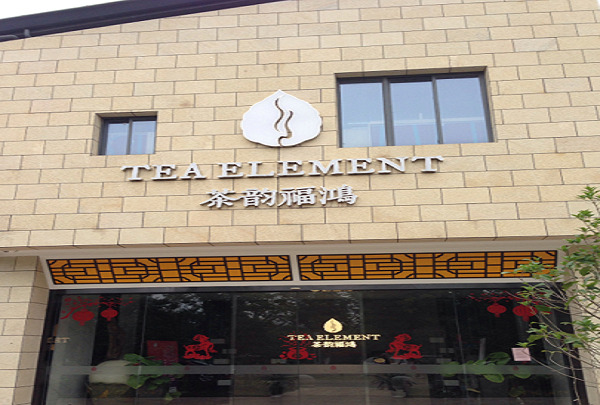 The store sells a wide variety of food and dessert tea. 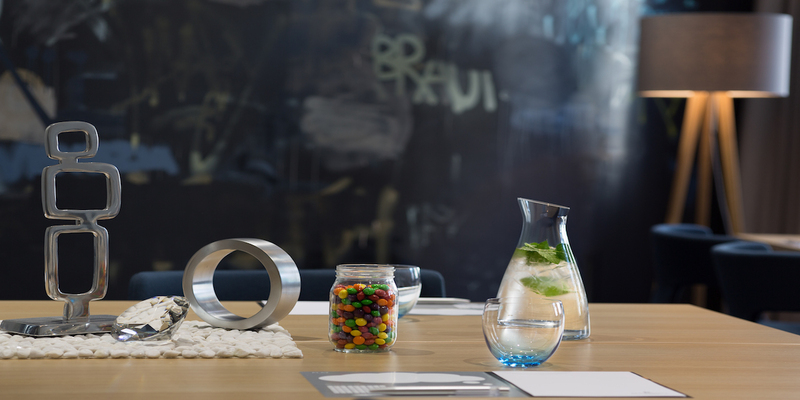 It is also a great place for business meetings. This is a graceful tower in Wuzhen. 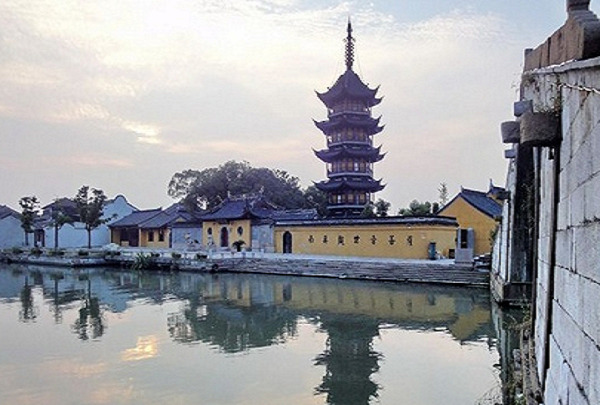 White Lotus Tower is the tallest building in Wuzhen. At night, the shining tower lights make it a beautiful sight. "The first pot" is now a part of the Guinness Book of Records. 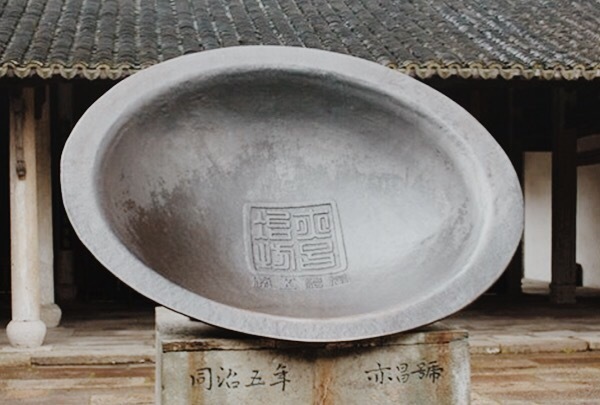 Tianxiadiyi Pot is considered the first pot and is 10 meters in diameter and made out of stainless steel and nearly 10 tons of iron welded together. Don't let the name fool you - this is not a real bridge. 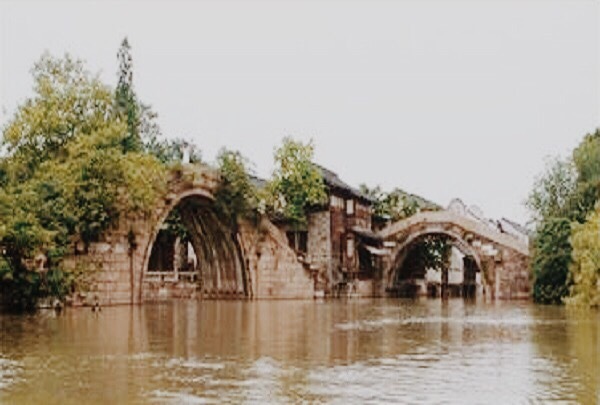 Bridge in the Bridge is located in Xishan, Wuzhen Town. In fact, this is not a real bridge but a common term for Tongji Bridge and Renji Bridge, with one going north-south and one going east-west. We can see one bridge from the another bridge's opening; that's the reason we call it "bridge in the bridge." This is a shop selling health drugs. 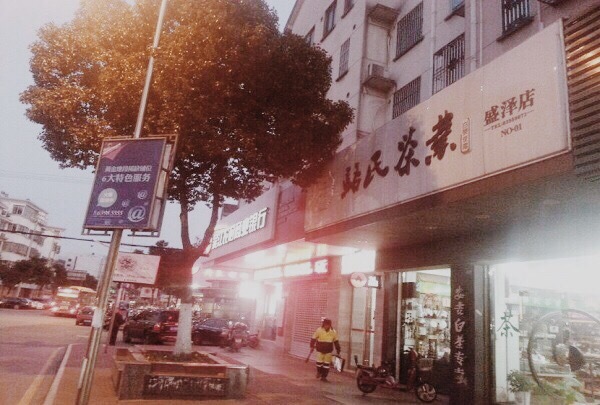 Dade Dang Yuan was founded in 1912 to disseminate the Chinese health culture as its mission. 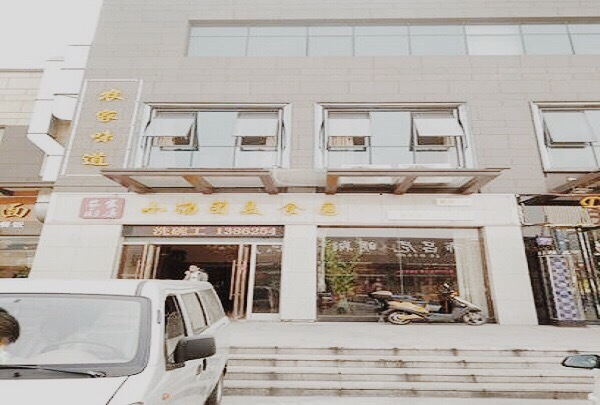 They sells bird's nests, cordyceps sinensis, and many other health supplies. This store is famous for their sticky rice dumplings. Jiangnan-style sticky rice dumplings are served at Wufangzhai. Sticky rice dumplings are a classic Chinese dish and come in sweet and savory varieties. A very beautiful eatery with delicious Korean food. This small eatery serves a delicious selection of tasty and delicious Korean grilled items including rice cakes, grilled chicken wings, and its signature black pork barbeque. 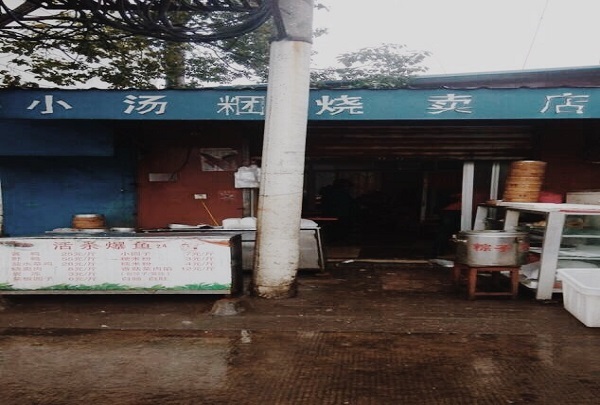 Restaurant serving pickled fish and vegetables, a dish that is famous all over China. Fresh blackfish and local vegetables offer a healthy taste of local waterside cuisine. Wonderful coffee shop in Shengze Town. As one of the few places in the region that serves the famous Kopi Luwak coffee, Kafelaku Coffee is recommended by coffee fans as a premium high-end brew. This is a dessert shop that focuses on the durian. The durian desserts sold here are inspired by Malaysian recipes. 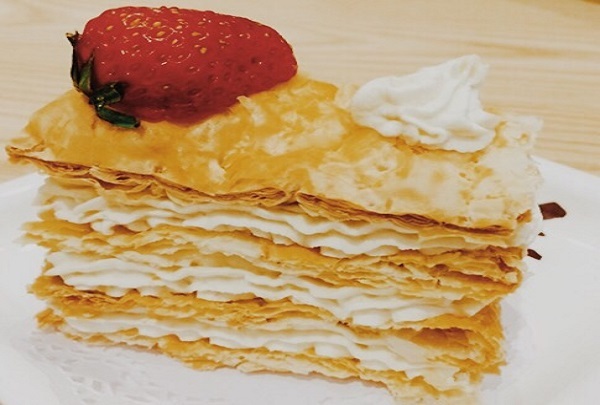 Fragrant and sweet, the desserts based on this fruit are a unique experience. 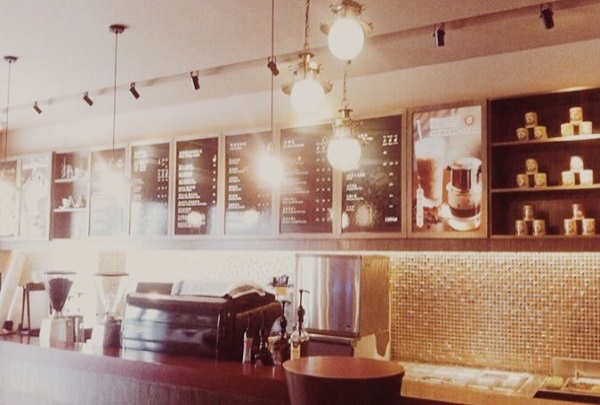 LIvely coffee shop with fantastic service. Fresh coffee and decadent cheesecake are available at this cafe, which has an atmosphere that is perfect for quiet relaxation. This is a large fruit market where you can find kinds of fruit. Combining commercial design with natural environments, this one-stop shopping center is perfect for visitors or locals with limited time or looking to stock up. It is the best fruit market in all of Shengze Town. Many local shops are located around this square. 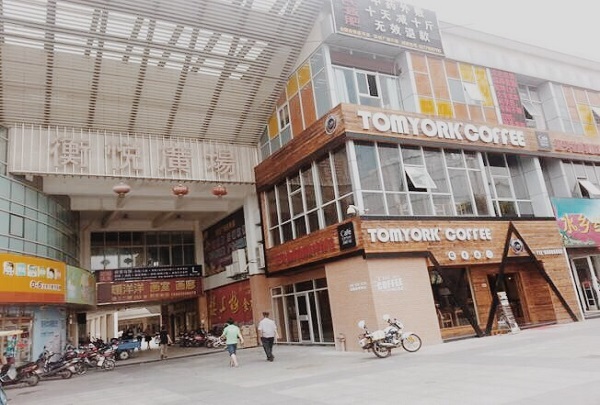 Spread out over more than 10,000 square meters, this local shopping center houses a variety of stores, featuring both outdoor and indoor areas. 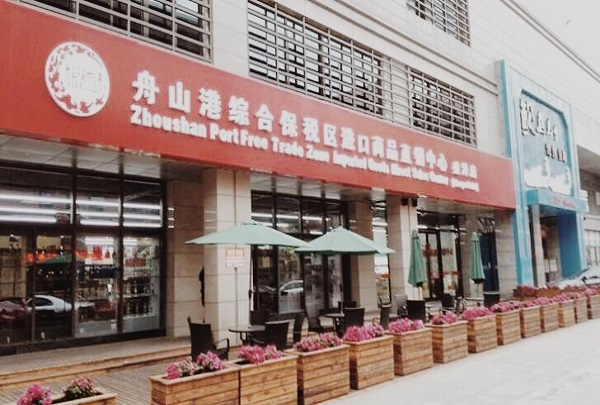 You can buy foreign goods in at this import center. Imported foods, alcohol, appliances, and accessories from all around the world are sold here, making it a one-stop shop for international goods. Specified two specified beers just charge for RMB38 per bottle, you can also enjoy the snacks for free. Enjoy the Oro del mundo sauvignon Blanc, the second can enjoy half price when you come to R Bar with your lover.